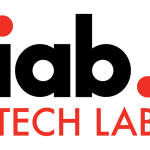 The IAB Technology Laboratory released for public comment OpenRTB 3.0, a major overhaul to the real-time bidding framework that will heighten trust in the security of the automated advertising supply chain by giving buyers more transparency during the bid process. It also integrates recent technology advancements—such as ads.txt—to improve automated buying and selling for all stakeholders. This public comment process will include two phases. First, comments on the framework are being collected at https://goo.gl/forms/eUOEV9Lr6VW0RWtf2. After those framework comments are reviewed, OpenRTB 3.0 specifications will be made available in October via the IAB Tech Lab blog to allow for additional comments to be shared. 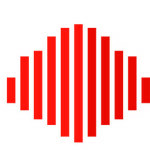 In total, OpenRTB 3.0 will have a 90-day public comment period, running through December 15, 2017, after which the IAB Tech Lab OpenRTB Working Group will evaluate and incorporate the feedback received, and release a final version in the first quarter 2018, including both the updated framework and specifications. With the final release, companies would then be able to begin the adoption process. To review the proposed OpenRTB 3.0 framework, please go to https://iabtechlab.com/openrtb.